Family hotel Lazur consists is of 3 floors, in a modern Bulgarian style, with a lot of green plants and trees, and is disposed on a very silent street only for walkers. At your disposal are double, triple rooms and a maizonette. 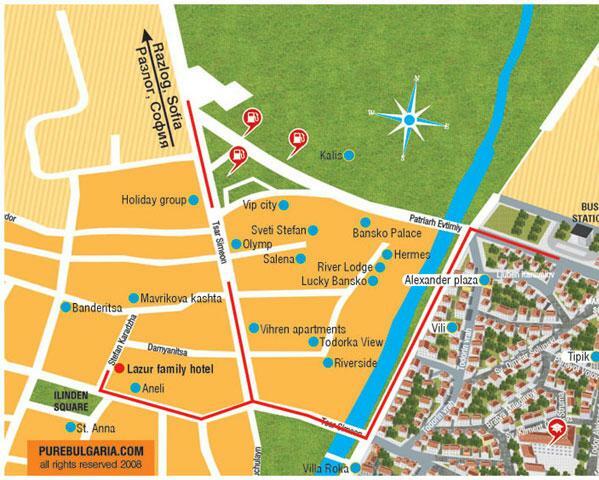 Hotel Lazur is situated along the length of a big part of the street and this allows you to park your private cars in front of it. It is possible to park in the yard as well.